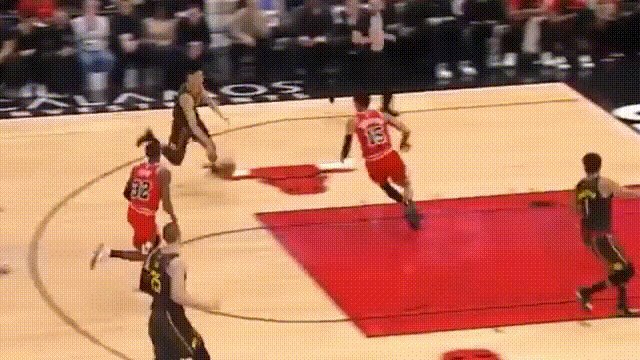 We made this gif to show how double standard plays in NBA officialing. In the game Hawks vs. 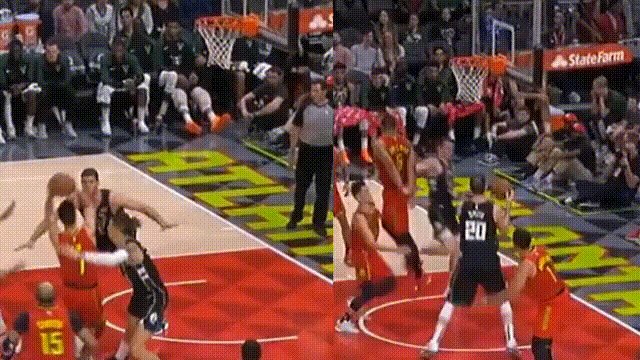 Bucks, the play at the left shows Brook Lopez hit Jeremy’s hand but he collected a block. When it comes to @ JLin7 , he was called a foul even he only touched the ball. Jeremy was called for a foul here. As shown in the replay clip, he had minimal physical contact with his opponent, and was able to make a clean block from behind the Bulls’ player. Stereotypical ‘Jeremy can’t stop a ball without fouling’ in play here. Jeremy’s opponent stood in place with his left knee extended as Jeremy ran for the basket. 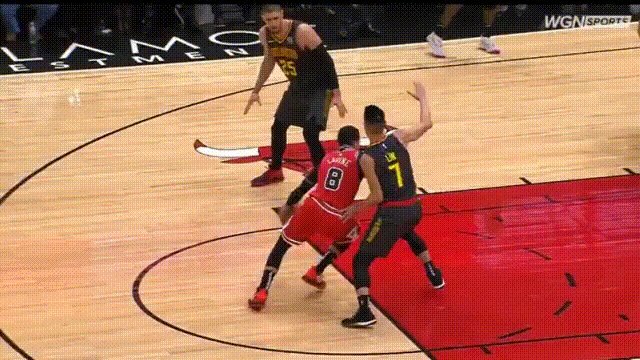 In order to try and avoid crashing into his defender, Lin twisted his body midair, but still hit the defender’s left arm and knee. Even though it should have been a 3-point-play, it was instead called as an offensive foul against Jeremy. This play was a foul on Jeremy Lin, not a block. Nene squeezed in and leaned on Lin, use his body but not his hand to press on Jeremy when he released his layup, caused him lost his balance and fell. Nene collected a block instead of being called foul. This is no doubt a foul on Jeremy Lin. The ref stood stood steps away without calling it.